The Full Acorn Machine List - Last updated on the 19th February 1999. This list represents some several days of work in researching and obtaining all the data contained within. No guarantees are made to it's accuracy but all efforts have been made to be as factual as possible. Many thanks go to all the people who have contributed towards this list, without their help this list would substantially shorter. This list has been frozen as of the 23rd of Novemeber 1998, Acorn recently closed their workstation division and seem unlikely to ever be making further desktop machines. Although I will be tweaking the list to correct existing entries and to add any machines missed up to the time at which the list was frozen. Finally this list is copyright 1992-1999 to Philip R. Banks but may be freely copied and distributed as long as it is distributed without modification or change. It may be used in other publications/documents as long as credit is given in the article to Philip R. Banks for the use of the list. Size of OS when first released. For a series of models all models are listed in succession after the textual blurb with the first line indicating the model number. Please note all MIPS speeds are estimates, are in terms of the processor's speeds and are not converted to Vax MIPS. 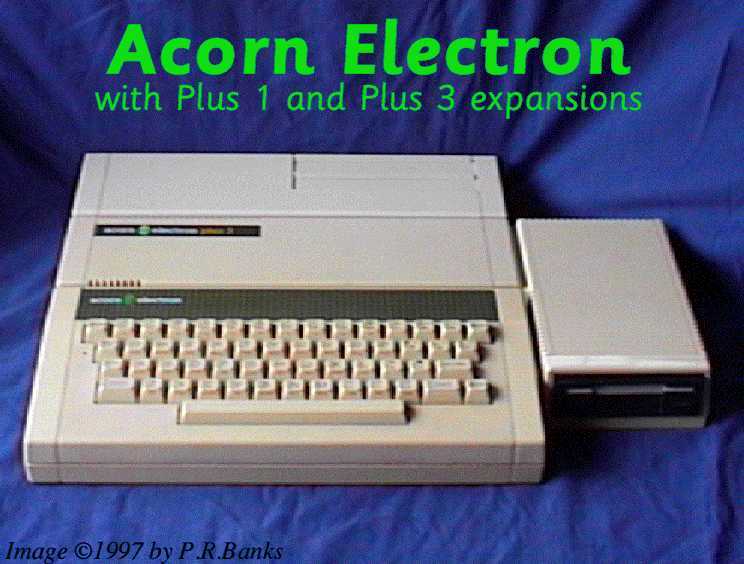 Acorn System 1 - the earliest of the Acorn machines. Powered by a 6502 CPU it had a staggering 256 bytes of static RAM memory and a 512 byte monitor program. It was built from two sandwiched eurocards, one for the CPU and the other a kepad and display. Described as a `pig to use` it marked the begining of Acorns long association with the 6502 chip. It was released as a DIY kit. Released in 1979. 512 bytes Monitor in ROM. Acorn System 2,3 & 4 - A eurocard rack system with a combination of cards including 6502 cpu, 6809 cpu, 32k static RAM, 32k battery backed CMOS RAM, disc interface, versitile interface adaptor, lab interface, econet, analogue interface, VDU interface and a 6502 ICE (In Circuit Emulation I am told). Functionally it was a System 1 CPU card with extensions. Acorn System 5 - similar to the Systems 2,3 & 4 except that it had a 2 MHz 6502 and was the first Acorn machine to be supplied with DRAM rather than static RAM. 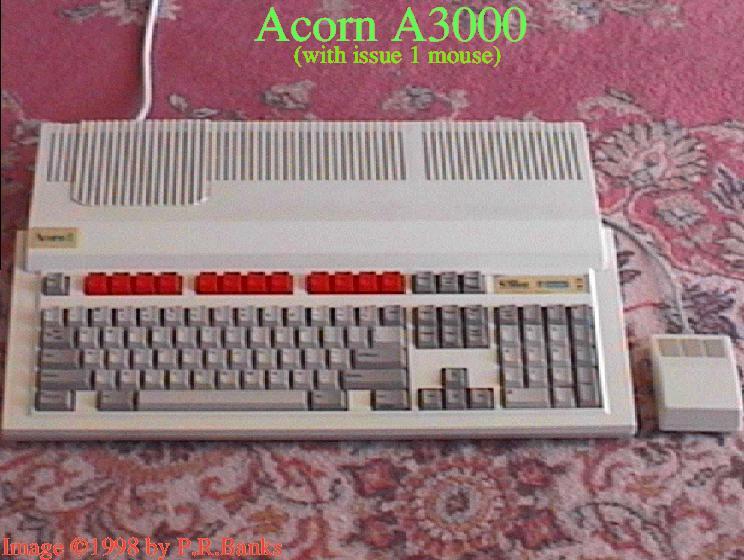 Acorn Atom - this was powered by a 6502 chip and had, by default, 2k of memory with total expansion limited at 12k. A bit of a rarity these days to see a working model it had an integer only BASIC supplied in ROM as well as the OS. Via an extension ROM floating point operations could be added to the BASIC. Econet became available for the machine in late 1980 and a floppy drive plus DFS could be added via an expansion port. Finally the Atom was available in DIY kit form if you were disposed to assembling your own machine. Released early 1980. Acorn Proton - prototype version of the BBC Model A. It was never released commercially under the Proton name and all prototypes became BBC prototypes when the BBC contract was won. This is given a seperate entry from the Model A more for historical reasons as the Proton name is mentioned from time to time in Acorn lore. Tape filing system by default. 16k of OS in ROM. 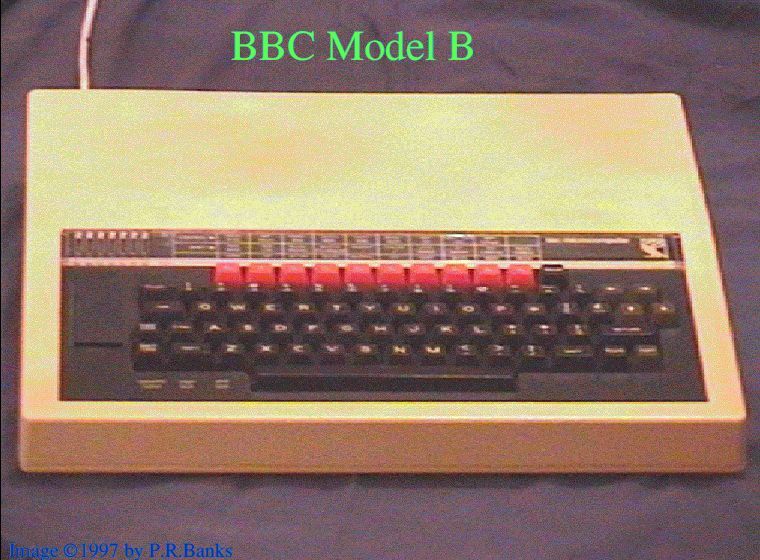 BBC Model A - cut down version of the very popular BBC Model B. Powered by a 6502 chip it featured 16k of memory. Released November 1981. Released November 1981 - early 1982. It appears that there was also released an American/Canadian version of the Model B that had several differences - namely that econet and speech systems were built in and that the machine was set up for American monitors by default requiring a *UK to enable it to run most software. BBC Model B+ - this machine was a stop gap addition to the BBC range of machines intended to keep the BBC range viable while the Master was being developed. It came in two models, the default model was equiped with 64k of memory and a D.F.S. by default. 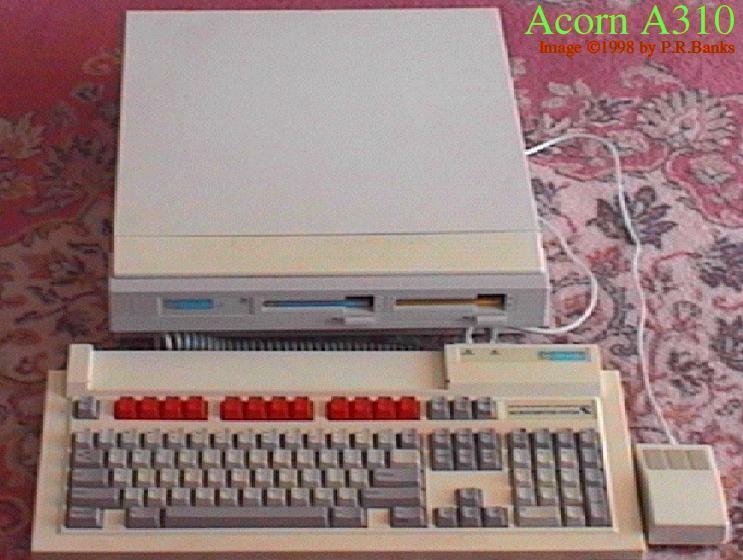 (Unlike the Model B) It was the first of the Acorn machines to come with a double density disc system as default. It had alot of the annoying `glitches` of the model B cured and was also powered by a 6502 chip. Released early 1984 it was quickly superceded by the Master range of machines and Acorn drew loud criticisim for releasing the machines so close together. Reuters board - Effectivley a BBC Model B+ on a big eurocard for rack mounting. Acorn Business Computer - Acorns first attempt at entering the business market and it was not a great success. It consisted of a BBC Model B+ with a variety of second processors all packaged in a new case with an integral monitor and seperate keyboard. Second processors included a 32016 running Panos, 80186 running DOS & a Z80 running CPM. These machines were and are very rare, indeed I have yet to hear from someone who has actually used one of these machines. They consisted of eight models and were released late 1984. Disc Filing System by default. 32k of OS in ROM with ViewSheet. Acorn Business Computer Model Terminal. No filing system by default. 32k of OS in ROM with a VT100 emulator in ROM. Acorn Business Computer Model 100. 32k of OS in ROM. Largely unused being replaced with CP\M. Acorn Business Computer Model 110. Acorn Business Computer Model 200. 10 MHz and 8 MHz RAM versions made. 32k of OS in ROM. Largely unused being replaced with Xenix. 32k of OS in ROM which was a boot loader for PANOS. Largely unused being replaced with Xenix. Acorn Business Computer Model 300. 32k of OS in ROM. Largely unused being replaced with CP/M,MS-DOS or PC-DOS. 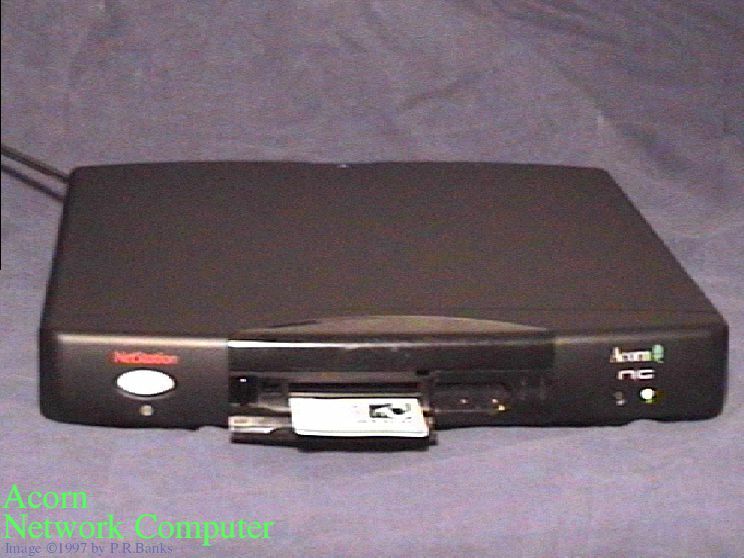 Acorn Business Computer Model 310. Acorn Electron - this was Acorns `cut down` BBC Model B machine. Designed to be a cheap alternative to the model B it had alot of design trade offs in order to keep it cheap. A feature of it was its series of expansion options that offered people the ability to upgrade it to almost the same specs as a Model B. It was slower than the Model B even though it was clocked at the same speed due to the fact that its screen refresh demands were not done asycronously to the CPU resulting in cycle stealing from the CPU especially in the higher resolution screen modes. That and the memory was arranged in such a way that two accesses were required to retreive a byte. It didn't enjoy a good history with supply problems meaning that stock wasn't available in appreciable quantities till after Christmas 1983 causing the machine to miss it's biggest opportunity for sales. Launched August 1983. British Telecom M2105 - An Electron with an expansion box containg a speech synthesier and modem. Designed as a `smart` comms terminal. Communicator - A comms machine based on a 65816 processor with an on board modem, comms software and featured 32k of CMOS RAM. CMOS RAM and NET filing systems by default. 256k of OS and bundled software in ROM. Briefcase Communicator - Basically the same hardware as the communicator repackaged in a briefcase with an added ramcard interface. See Acorn Communicator - hardware functionally identical. 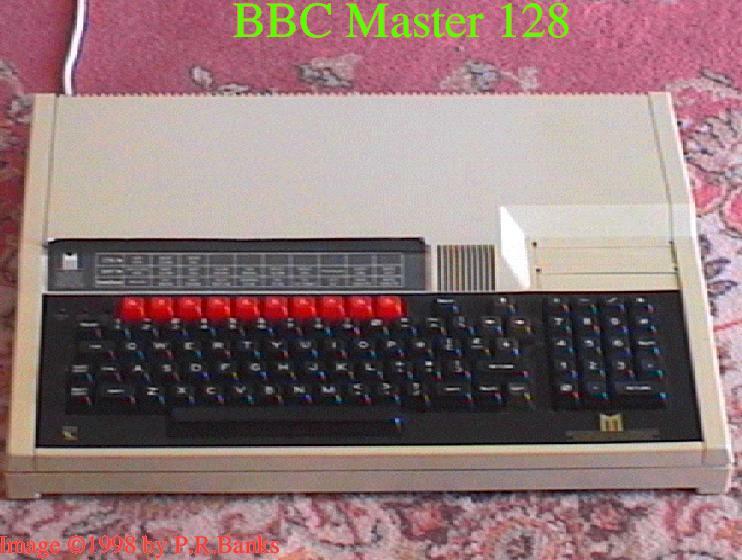 BBC Master range - this was the successor to the Model B range and came out as three close but different machines. Powered by a 65C02 chip it had extra instructions making some operations slightly faster and had alot of software improvements as well as hardware improvements that made it a large step foward. It came by default with a new and greatly improved Disc Filing System called ADFS (Advanced Disc Filing System) as well as 128k of memory as standard. Released late January 1986 for the Master 128 and September 1986 Master Compact. BBC Master Turbo and Master 512 - these were Master 128s with internal second processors and sold as a complete package. Consequently the listing here only details the capabilities of the second processor. Their external appearance is identical to that of a Master 128. Minimal OS softloaded from the host computer. Advanced Disc Filing System by default. A3xx - the first of the Archimedes range of computers it was powered by a custom designed chip set based around the ARM a 32 bit RISC chip. The range started with half a Meg of memory up ran up to 1 Meg of memory. They came out with the Arthur Operating system that while it was more advanced than the 8 bit machines OS' it was not an OS doing justice to the hardware it was running on. Released around late 1987 they heralded the start of new shift in Acorn machines away from their previous 6502 only base. A4xx - released at the same time as the 300 series of machines the 400 series features an in built st506 hard drive controller and some models came equiped with hard drives built in as standard and the series also, by default, was capable of handling 4 expansion cards including a co-processor card unlike the 300 series. St506 Hard Drive interface by default. St506 Hard Drive interface by default with Hard Drive. (43 Meg) ARM 2 processor. A680 - development machine for RISCiX. This is another development machine and again was never sold commercialy, thus it is somewhat rare. It was different from most Arcs in the respect that it does not have RiscOS in ROM at all and can only use a high resolution monochrome monitor for display. It came with a 67 Meg SCSI drive by default. M4 - another development machine for RISCiX. This is an A680 in a large case about 8 times the volume of a standard A400 style Archimedes machine. A very rare beast this one as apparently only two machines were ever produced. It is rumoured that the first one has been destroyed, so as far as I am aware there is only one of these machines in existance. R140 - Acorn's entry machine into the Unix market, it suffered problems due to the Archimedes chip set not being optimal for running Unix on. Functionally identical to an A440 machine it had 4 Meg of memory and was provided with an 52 Meg st506 drive with RISCiX (Acorns brand of Unix) on it. Due to memory contraints and a large page size it did not fair terribly well as a Unix workstation. Launched September 1988. 512k OS in ROM. RISCiX OS supplied on Hard Drive. A3000 - this is the low end Arc. It was the first machine to be released with the newer and faster MEMC1a built in as standard as well as the newer Risc OS by default. Designed to be a cost effective cheap Arc it features only one full expansion port with a single internal `mini' expansion card slot limiting expansion somewhat. It also came by default without a serial port. This machine has proved very popular with schools as a cheap entry point into the Archimedes machines. Launched May 1989. A540 - This machine comes with 4 Meg of memory by default and an ARM 3 processor running at 26 MHz. It comes with a 100 Meg SCSI drive by default and a slightly newer version of Risc OS updated to cope with up to 16 Meg of memory and features for handling the ARM 3 processor. Launched June 1990. R260 - functionally identical to the A540 the R260 comes with Unix (well RISCiX ) by default and due to the increased power of the hardware runs it much better. Launched June 1990. ARM 3 processor. (26 MHz) 12 MHz RAM. R225 - A diskless version of the R260 it was designed to be a cheap networked Unix station. Released at the same time as the R260. 512k OS in ROM. RISCiX OS booted off from Network connections. A5000 - the A5000 is the first machine to feature high density (quad - 1.6 Meg formated) drives by default as well as the latest (at the time) version of Risc OS - version 3. It also features an inbuilt IDE hard drive (40 Meg) on it's higher end model. With the re-release of the series the basic hard drive size has been upgraded to 80 Meg. Advanced Disc Filing System by default with High Density drives. A4 - Acorns first portable machine. The A4 is functionally an A5000 in portable form. Featuring power save modes, an LCD screen and software configuration of the power saving features it was released July 1992. It is called the A4 because it's footprint on a desk is apparently that of an A4 piece of paper. It is interesting to note that the A4 is not an A5000 squeezed into portable form but rather the A5000 is the A4 in desktop form, whereby the A5000 design was largely a spin off from the design of the A4. A30x0 - Two models of this machine exist the A3010 and the A3020. Both are designed as low end 'family solution' machines. They are also among the first machines to feature the ARM250 processor offering improved performance over an ARM2 (but less than an ARM3) and are designed to supplement the A3000 machine as a low cost entry machine into the Acorn world. Its other main claim to fame is it is the first Archimedes series machine that features joystick ports (only in 3010 model, the 3020 has a network connector instead.). Early models of these machines didn't have an ARM250 in them at all, but rather a daughterboard card that featured an ARM2, IOC, MEMC and VIDC combined to give the equivalent of an ARM250. This was due to supply problems with the ARM250 chip and was discontinued once supplies of the processor became stable. IDE 60 Mb Hard Drive (only in A3020 with HD option). A4000 - This is a higher end more expandable version of the 30x0 series machines and is in a three box format similar to the A5000. It also is driven by an ARM 250 processor however it features over the A30x0 machines optional Ethernet & Econet ports and an 80Mb IDE drive by default. The aim of this machine is strongly towards the home office and more 'serious' applications than the A300x0 series. IDE 80 Mb Hard Drive by default. A5000 (alpha variant) - This is an improved variant on the A5000 featuring a considerably faster processor, 33 MHz, with the ability to have a similarly clocked FPA unit installed. It also features a considerably larger base hard drive size of 160 Mb on the 4 Mb model, the lower 2 Mb model still as an 80 Mb drive. Finally it has improved alterations to it allowing easy expansion of the machine to 8 Mb of memory by default. This is the next generation and architecture of machines - superceeding, but compatible with, the Archimedes range of machines. All of them feature a highly configurable and modular system that makes a bewildering variety of options available. All are founded on the 'second generation' chipset featuring VIDC20, IOMD and the newer ARM6, and better, cell processors. This new range was launched on the 15th of April 1994 with the RiscPC 600 series of machines. The new machines feature the processor card option, the concept of which was first shown in the A540 as well as a unique second processor slot allowing the machines to have two processors in the system, at once, of radically different types. Simply by slipping a 486 chip in, on an appropriate board of course, Intel based software can be run on the machine adjacent to native ARM programs. Both processors share the system resources and can be allocated memory and the like to use. Memory managment has been improved with memory paging always being done in 4K pages. Further more the podule interface has been extended with DMA to and from podules, extended addressing, 32bit data pathways from the IO system as well as a vastly expanded memory map for each podule. Realtime video from the IO system becomes a reality with high speed and data tranfer applications being boosted considerably. These machines are to be the ones to carry Acorn for the next three to six years and look set to do so nicely. 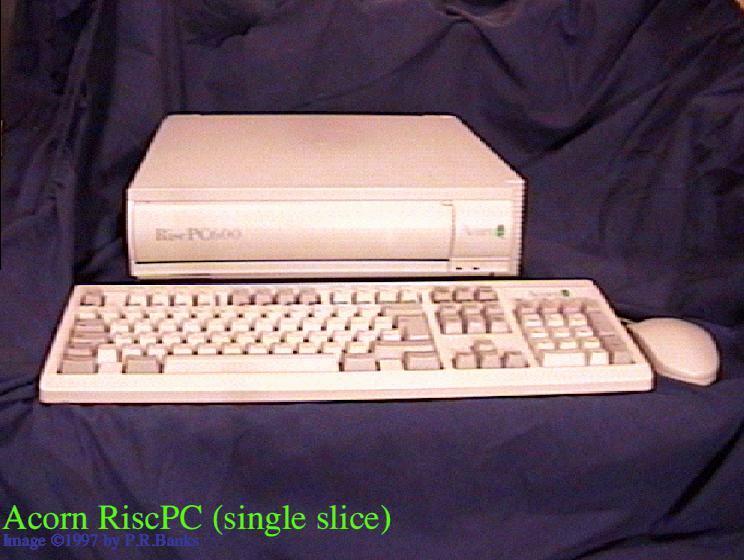 Risc PC 600 series The initial set of machines that launched the RiscPC range. Initially they all featured 30 MHz processors, but as of the launch of the Risc PC 700 the 600 series machines all feature a 33 MHz ARM 610 instead. 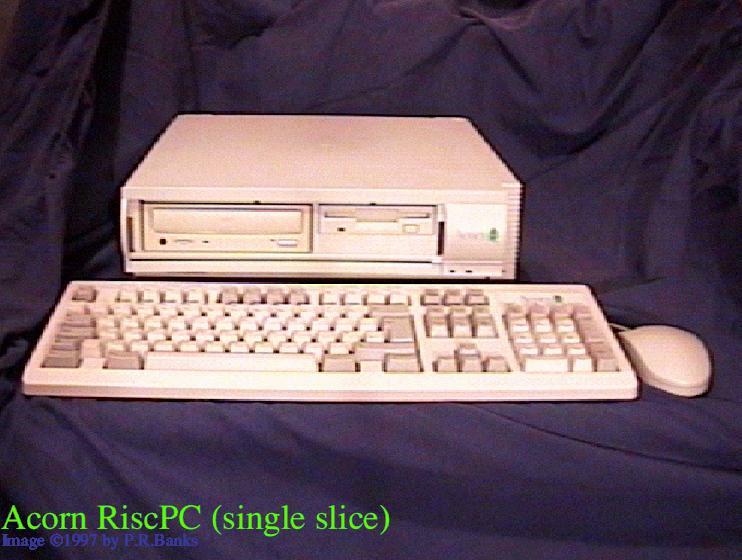 As of the start of 1996 the base model of the RiscPC 600 was a 4Mb DRAM machine with a 425 Mb hard drive. Advanced Disc Filing System by default with a High Density drive. 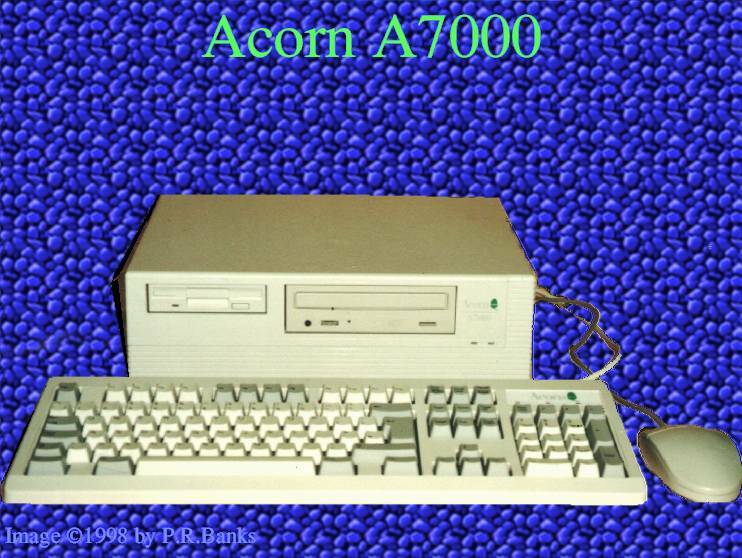 A7000 - a successor to the A4000 machine, this is a 'cut down' Risc PC intended for school/home entry as a cheaper alternative to the RiscPC. Both this and the RiscPC 700 are the first machines to feature RISC OS 3.6. 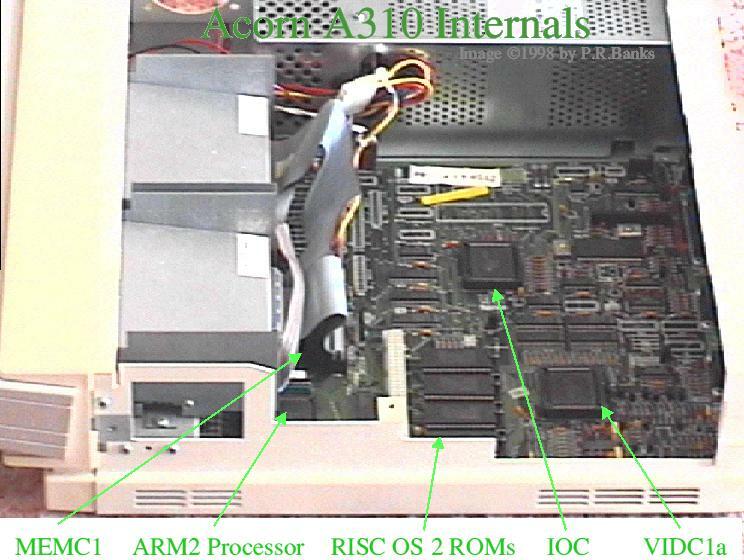 Unlike the RiscPC the A7000 has no second processor slot, only one DRAM socket and no VRAM capabilities. This limits the memory expansion of the machine to 128Mb + whatever memory is soldered on the motherboard. Ethernet interface in place of hard drive. Risc PC 700 series is the second generation of Risc PCs to be shipped. They feature the newer ARM710 processor, 16 bit sound as default with audio mixer on the motherboard and RISC OS 3.6. Not so much a major advancement as an incremental improvement of the RiscPC to keep pace with the computing world. Launched 12th of July 1995. Acorn, around October 1995, restructured itself into seperate companies. Consequently the originating company will be noted by the machine model name, in brackets, from here on down. Network Computer (Acorn Network Computing) is the production implementation of the Reference Standard that Oracle commisioned Acorn to specify for Network Computers. In common with the philosophy the default NC does not have any storage devices beyond a smart card, but can be upgraded as required by the customer. Launched August 1996. IP Stack by default, capable of using extra drives as required. Set Top Box 1 (Online Media), initially produced as the base units for the Cambridge Cable and Online Media trial run these units were then later on sold commercially. Fitted with a hardware MPEG card (a Computer Concepts Movie Magic card) and an infrared remote control these marked the first machines to be produced targeted towards Acorn's newer market of Digital TV. Launched early 1996 (january?) I believe. Set Top Box 20 (Online Media), an advanced networked computer designed to provide an interactive TV station in the home. These machines require high capacity networks to operate and as such are, as of early 1997, limited mostly to trials in selected areas. These machines feature hardware MPEG decoders as well as an infrared remote for controlling it. Strictly speaking these machine are no longer quite computers but are more converging into versatile home appliances. The two variants of this machine, one with CDROM drive the other without, were capable of utilising ATM or Ethernet networks via interchangable podule. Launched July 1996. Stork (Acorn Risc Technologies) the successor to the A4 this is effectively a RiscPC in portable form. There are a few improvements over the capabilities of the RiscPC range including a PCMCIA interface. It is unique in being the first Acorn portable to offer a docking station arrangement. Not launched initially as a product it has been more a liscensable design available for volume customers to order as required. A by product of this is that design is somewhat mutable featuring at least two types of LCD screen chosen as required by the customer. The design has been available since mid 1996. NewsPAD (Acorn Risc Technologies), perhaps the most unusual of the portable offerings from ART this is a graphics tablet arrangement of portable with no integral keyboard offered. Rather input is through an in-built touchscreen overlayed on the colour LCD display. Two PCMCIA slots are available along with 496 bytes of non- volatile RAM, compared with the more usual 240 bytes offered. A docking station provides parallel, external monitor, serial, keyboard and mouse ports along with a floppy disc drive. StrongARM Risc PC (Acorn Risc Technologies) basically the 700 series machine with larger hard drives, RISC OS 3.7 and a StrongARM (202 MHz) in them. Released September 1996. As part of an image strengthening procedure Acorn have kept their internal structure of seperate companies but now all of them market under the Acorn name. Consequently I won't be marking which subdivision 'makes' the machine anymore. 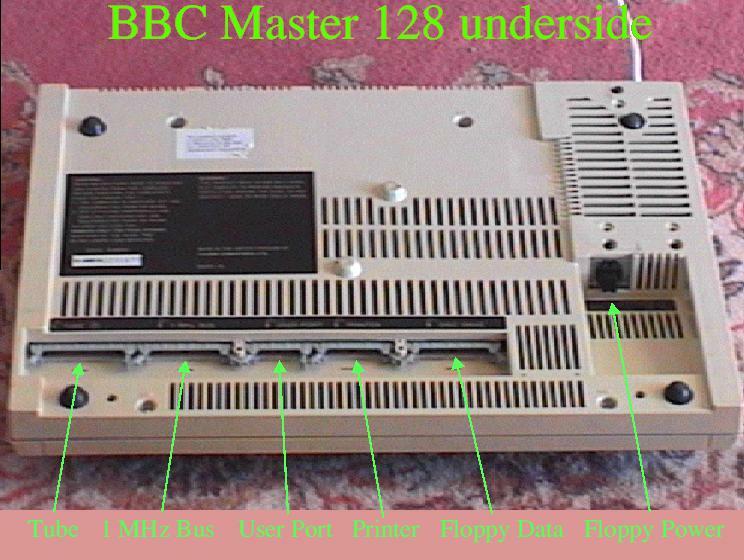 Set Top Box 22 effectively identical to the Set Top Box 20 the three major differences were the lack of a CDROM fitted variant, the fitting of an MPEG2 hardware decoding card and the rebadging of the machines as Acorn ones rather than Online Media. Launched early 1997. A7000+ is an updated version of the 'entry level' A7000 machine, as the name implies. Keeping the same styling as the A7000 it is notable especially for two features. The presence of a hardware floating point processor by default and the ability to use EDO RAM. Both are firsts for Acorn equipment and hopefully signal a trend in Acorn's design priorities. Launched 18th of May 1997 at the Wakefield Show. 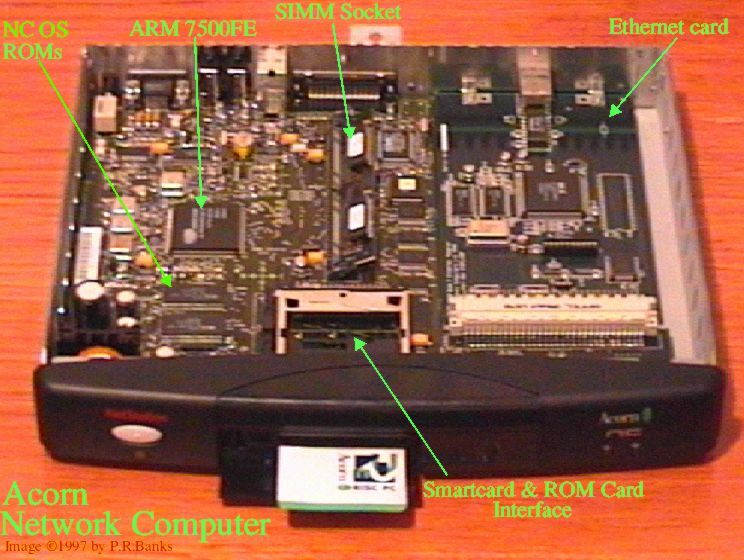 StrongARM RiscPC (Alpha variant) basically the same as it's earlier incarnation but with a 233 MHz StrongARM in it rather than a 202 MHz one. This machine is essentially the J233 as well, the primary difference being the software installed by default on the J233 includes Java and Browse. Released 10th September 1997. CoNCord, an uprated NC this is a StrongARM powered machine with expanded memory and Java built in by default. In a break with previous NC designs a Tower configuration has been used with a custom rounded case. Like other NC designs the CoNCord features a ROMCard interface for upgrading the OS as required and an infra-red interface for armchair control.